In village on edge of forest, gîte (40 sq.m.) for 2 adults & 2 children. 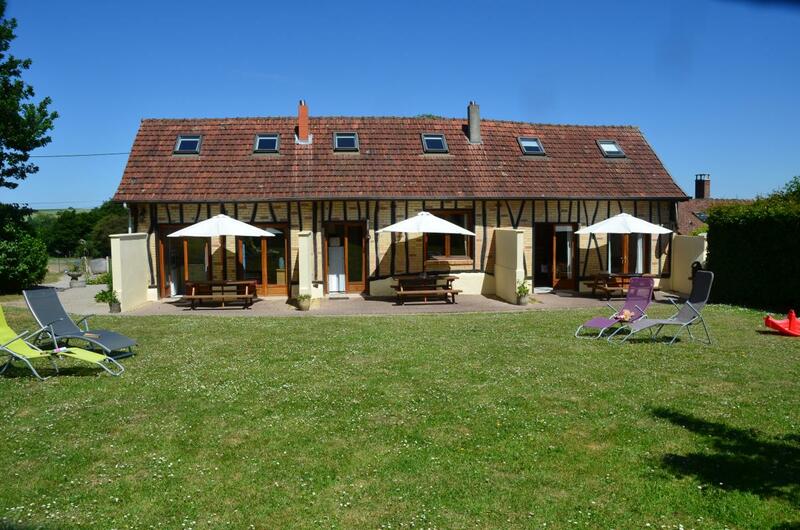 Restored farmhouse adjoining 2 other gîtes, near owners' home. Ground floor: living room with kitchen area, shower room/WC. 1st floor: small attic bedroom (double bed), small landing bedroom (2 single beds). Shared unfenced garden (3,000 sq.m. ), terrace. Lots of animals (poultry, horses, donkey, sheep, homing pigeons, rabbits, etc.). Cost of cleaning included. Mountain bike hire. Plenty of games for children.